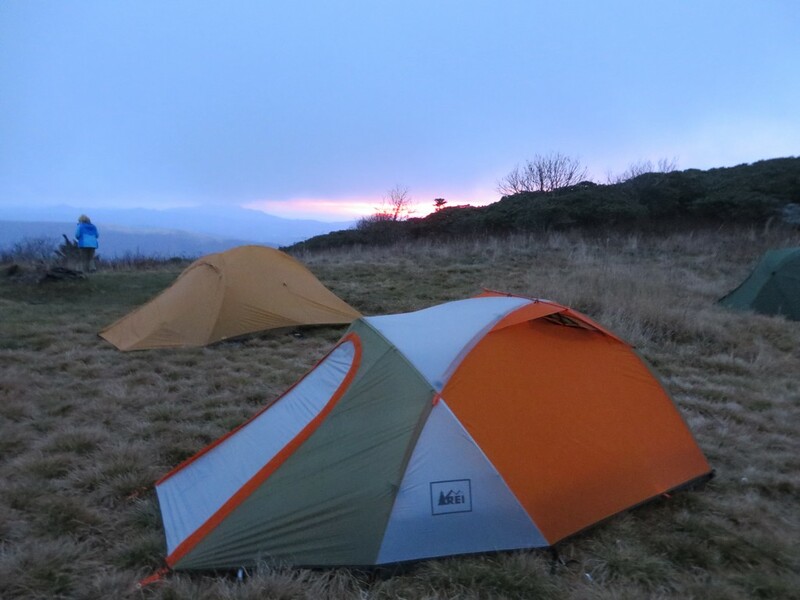 The REI Arete 2 falls somewhere between a 4 season mountaineering tent, and a light weight backpacking tent. Beefed up enough to handle high winds and light snow, but light enough to be carried year round it hopes to fill the void that so many backpackers are searching for. Does it work? Borrowing from both schools of design, the Arete incorporates elements found in both 3-season and 4-season tents. The two primary 9.6 millimeter aluminum DAC Featherlight NSL poles slide through sleeves instead of using the more modern clip design. This, while being an older technique, greatly increases the strength of both the tent body and the aluminum poles. This compensates for the overall light weight body, built from ripston nylon and mesh for the body, a tougher nylon taffeta for the floor, and coated ripstop nylon for the fly. 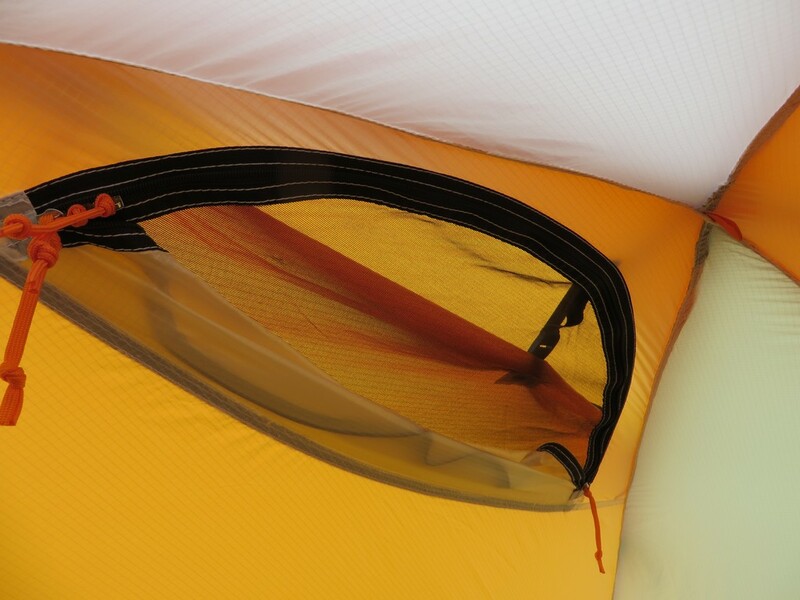 A second pole uses the more common clips to attach to the body and extends forward from the center of the tent, lifting the single vestibule, enhancing storage, while also improving sideways wind stability. 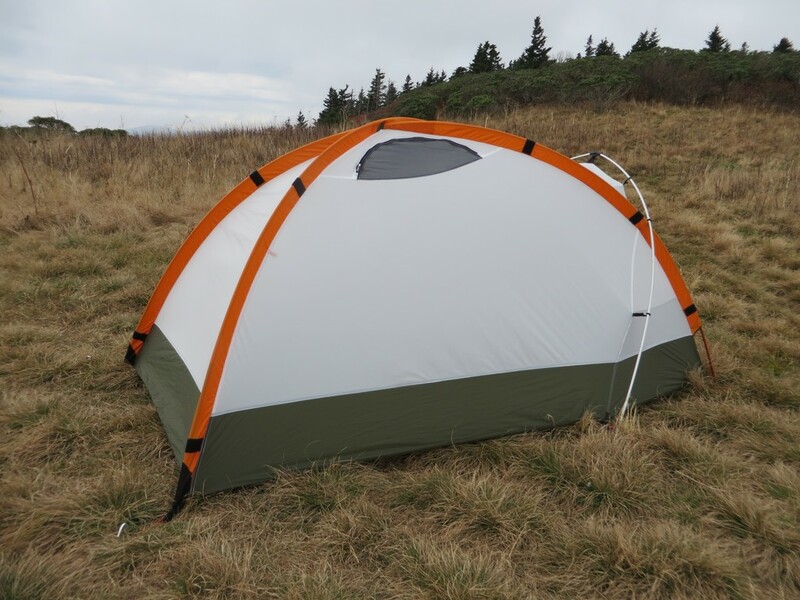 The tent body has a fairly large double layer door, one solid nylon and the other mesh, which allows for sealing up the front from the cold and wind, or opening it up for more ventilation. 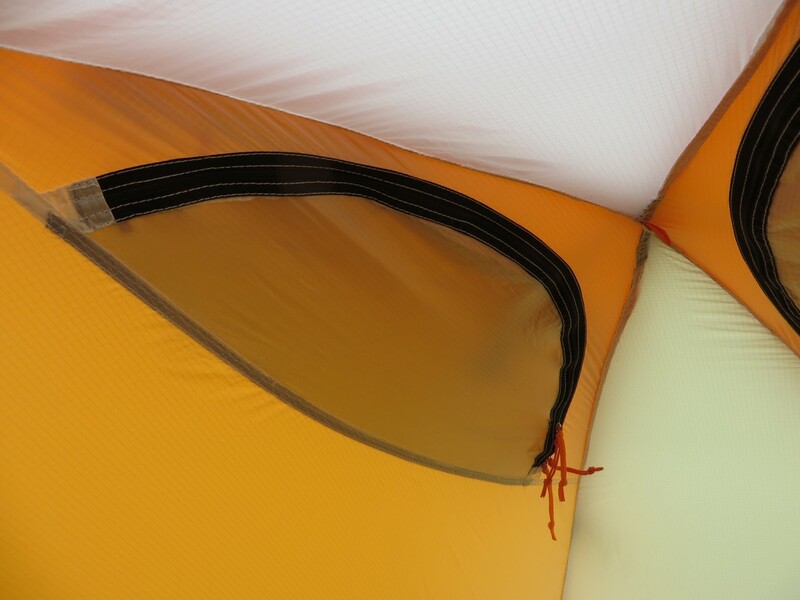 Ventilation is further improved with two seal-able vents on the sides, fully accessible from inside the tent. Inside, there are two pockets aside each door and two more above the door. 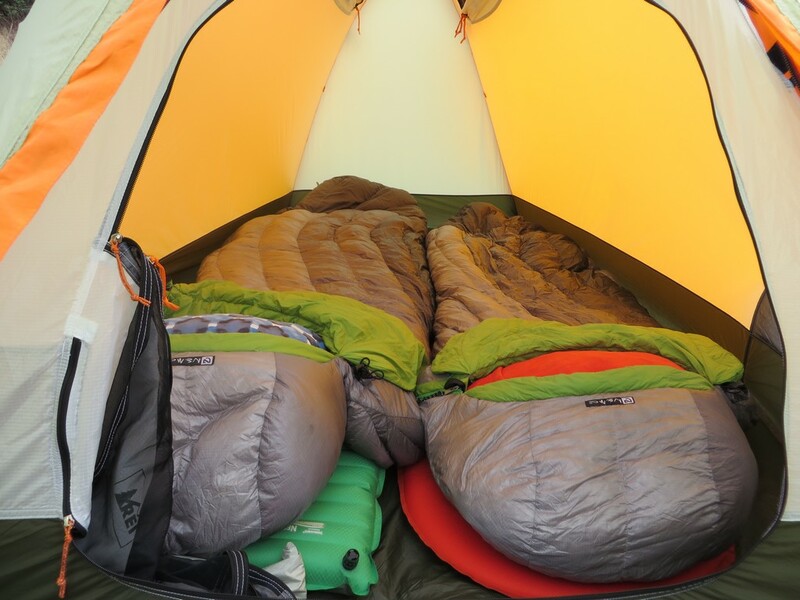 The tent weighs in at 5 lbs 14 oz packed, and retails for $359. The Arete performed like a champ. Camping high in the mountains on completely exposed bald and peaks, the shelter endured constant strong gusts of wind from all angles without faltering after being fully guyed out. The sturdy frame and full sleeve design makes for sturdy frame and a stable pitch that barely moved at anything under 25 mph. Small Velcro attachments can be found on the sleeves of the body, allowing the rain fly to connect directly to them, which eliminates any shifting that would typically occur with clipped designs. The result is an exceptional sturdy, quiet design that didn’t make a peep all night. Even while being blasted from the side by harsh winds, the worst possible condition, the walls didn’t cave in and the tent held its shape true. After long nights of wind and rain, the tent still looked freshly pitched in the morning, without sagging or flapping after hours of abuse. I was thoroughly impressed by its ability to perform so well at such a light weight. It’s not quite a true mountaineering shelter, but for most 4 season uses, it’s more than capable. Spending extended nights in the Arete has been quite pleasant. 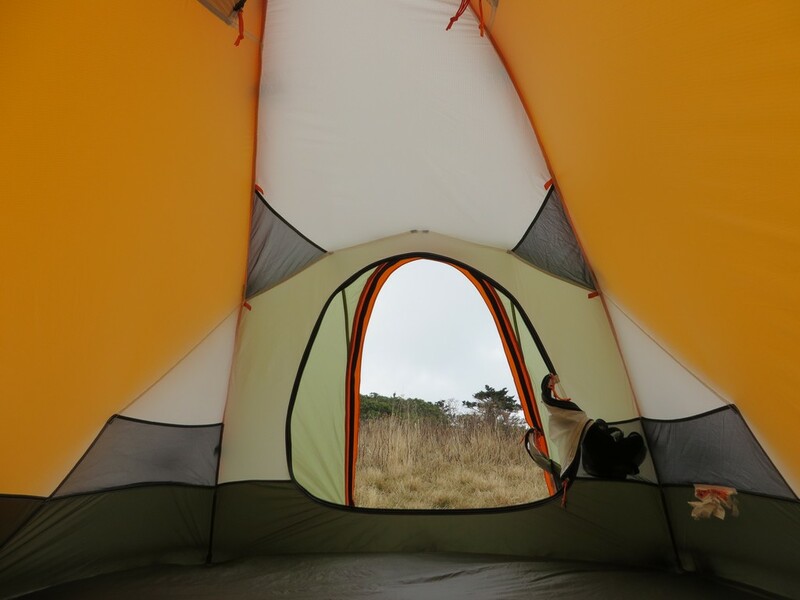 The walls are quite vertical at the head of the tent and provide lots of head and shoulder room. Two campers can easily sit up and move around inside the tent without bumping into each other, and there is enough room to get dressed and play games. I had a little extra wiggle room at both sides of the tent, and at the head and foot. 4 pockets help to keep gear out of the way, and the full nylon walls (when zipped up) provide excellent protection from the cold and wind. Even down to 35 degrees F I was warm and content in nothing but a t-shirt and pants even when I wasn’t inside my sleeping bag. While snuggled into 15 degree bag I even broke a light sweat. Opening the vents up completely and unzipping the nylon layer on the door allowed for good ventilation and temperature regulation. Condensation was handled superbly, even on 100% humidity nights. There was condensation, unavoidable, but it was minor and the inside body was completely dry. Sleeping inside the Arete was lovely, thanks to the quiet, creak free design. Getting inside and out wasn’t bad, but did require come crawling. The build quality was quite good, with the only complaint being some knots on the mesh door. The zippers were sturdy and slid effortlessly, so far never once hanging up. The poles are sturdy DAC featherlight NSL aluminum, which is one of the best materials on the market.The fabrics used are a well thought out combination of light weight body materials, a tough floor and a taut rugged rain fly that doesn’t sag when it gets wet or cold. I love the colors. The vibrant, varied color pallet is uplifting and energizing, especially beneficial when dealing with long, dreary days out in the frozen misty mountains. At $359, the Arete 2 is an exceptional value. 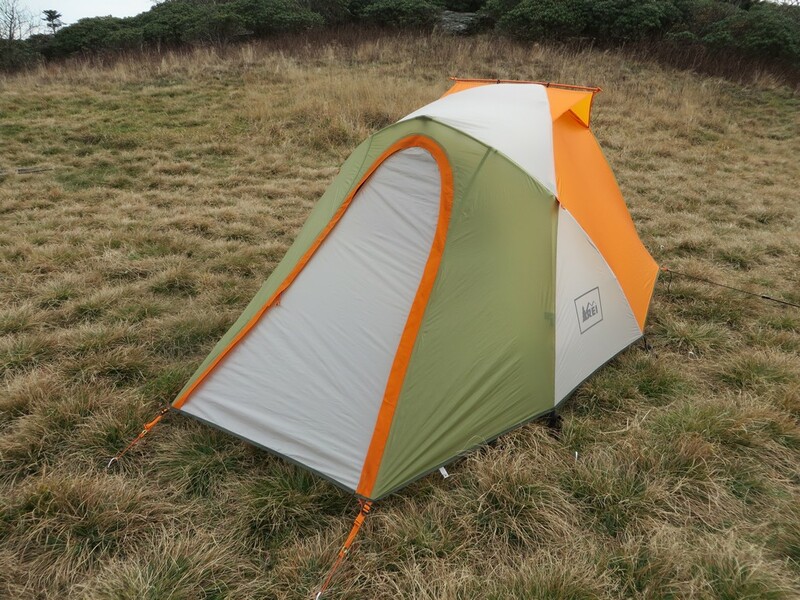 Performance, weight and build quality were all punching above their weight, and performing better than some tents that I’ve pay hundreds of dollars more for. 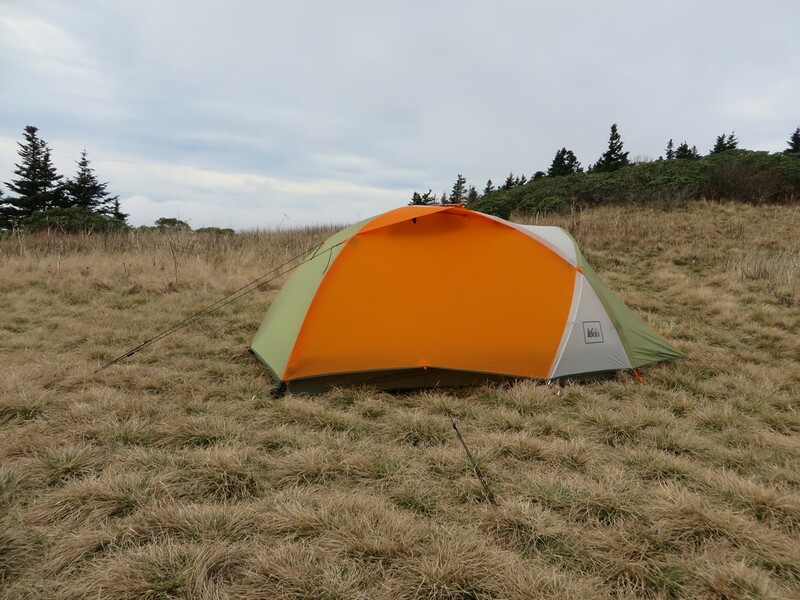 While most 4 season tents are priced near absurdly high, the Arete comes through with a sensible, fair price that’s easy to swallow. There simply is no better value on the market. Despite the overall great build, the designers still decided to use some lower quality sheep hook stakes. While great for most purposes, these aren’t going to be ideal it when working with frozen earth. They’ll bend, but they’ll work. Furthermore, the tent didn’t come with enough stakes or guy lines to full guy out the tent. As tested, I found myself adding 3 additional guy lines and stakes, while considering attaching two more of each on the front for rougher conditions. The guy lines themselves, while durable, are thick, cheap, and soak up water. This results in frozen stiff lines when it dips below freezing, which is a pain to work with. They’re all usable, but a strong point of consideration for upgrading in the future. Mostly, the setup is easy, but inserting the tent poles through the sleeves takes some time and a good deal of muscle to pop the poles’ tips into the grommets at the end. Taking the tent down provides a similar challenge in getting them back out, and is harder with cold hands; it gets better with practice and break in, however. The vestibule is adequate, but I found myself stacking gear to make it fit, and having to crawl over it when getting in and out. The tent is quite warm even at full ventilation. This is great for the winter, but it’s not flexible enough for hot summer evenings. Back country sauna anyone? 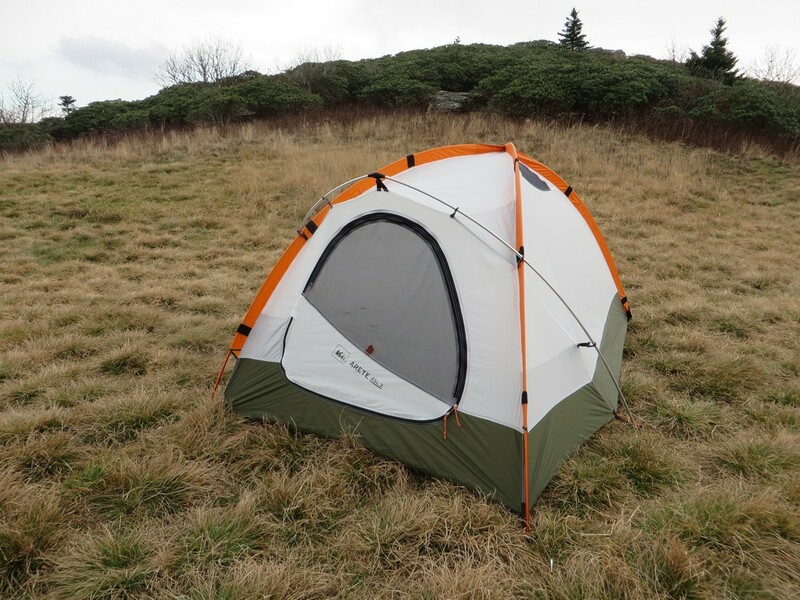 I’m not impressed easily, but the REI Arete 2 performed far better than I ever could have anticipated. The classic sleeved design and top of the line DAC aluminum framing system come together to form a solid foundation delivers an exceptionally reliable shelter for the weight, while still providing an enjoyable living experience. 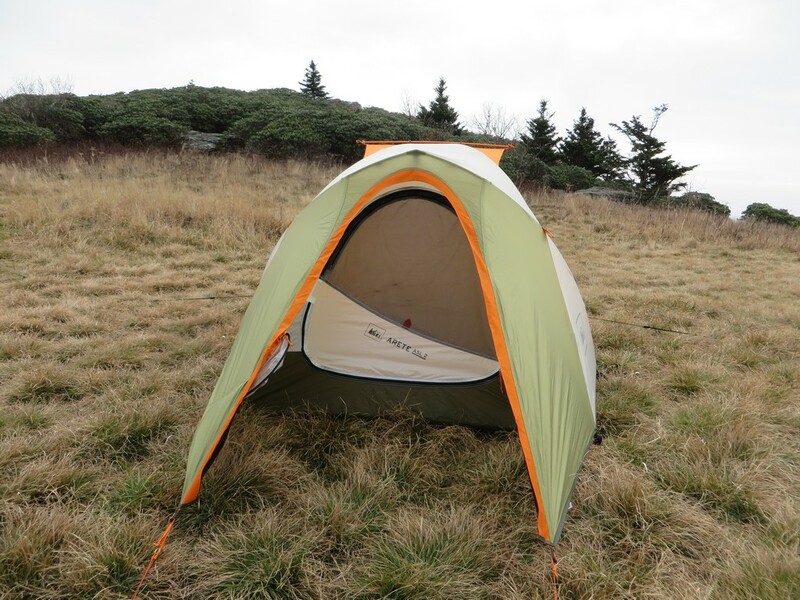 The quiet build, plenty of living space and warm nylon body creates a very pleasant back country escape, ignoring the harsh conditions that rage just outside. Despite a few minor, mostly solvable complaints (cheap stakes and guy lines), the Arete is an incredible value for those who want a truly capable winter tent without investing in a heavy, expensive expedition grade shelter. It’s comfortable, reliable, and above all affordable. Thanks so much for reading! For information on our rating system and our testing procedures, check out our About us/ Contact us page. If you have any thoughts or questions, comment below, send us an email, or find us on Twitter or Facebook (links on the right). Excellent review. Thanks for sharing. I was looking at picking up a Hillebery Soulo or maybe Staika next year. Might have to look into this one more. It’s certainly a more affordable option. I’ve tried some Hillebergs, and I would take this over any of them. Congrats on the Soulo/Akto. Those are both great designs. That is one of the best things about backpacking, all the gear choices. There is something for everyone.